I don’t often buy sweetened soft drinks. I consume a fair amount of flavored and (more often) unflavored seltzer, however. I occasionally bring home tonic, which I drink straight and or with gin. In the rare instances when I do buy a sweetened drink, I usually buy the no-calory variety. 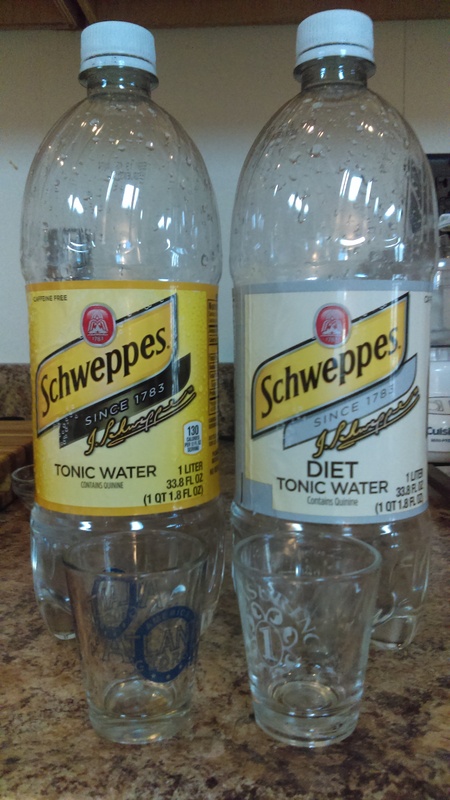 For some reason, I brought home both Schweppes Tonic Water and Schweppes Diet Tonic Water the other day. Today, I compared the taste of the two tonics. Being neither ConsumerReports nor America’s Test Kitchen, my procedure was rather unscientific. I did not do any sort of blind testing; I merely tasted the two products in succession from two shot glasses. I did two rounds of tasting. I was surprised at the result of my taste test. Bottom line: (1) The drinks taste different; (2) The naturally sweetened version tasted very much better. Most of the ingredients of the two drinks are the same, but, whereas the standard tonic contains high fructose corn syrup, the diet variety contains sodium saccharin and sodium citrate. The differences are responsible for the fact that the plain tonic has more calories (130/12 oz vs. 0/12 oz.) but less sodium (55 mg./12 oz. vs. 105 mg./12 oz.). Arbitrarily, I tasted the diet tonic first. It was bitter, of course, which one expects from quinine. The regular tonic was also bitter, but it lacked an unpleasant edge present in the diet version. Instead, it had a smoother, fuller taste. I don’t know that I can say much more than that, but I quickly resolved never to buy Schweppes Diet Tonic Water again. Now, I need to look into Canada Dry offerings. I bought Canada Dry. 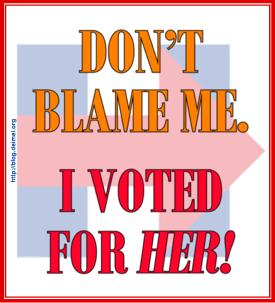 It is really blah.